These cookies are awesome for every lover of marzipan, like me. 1. Put the almonds in a heat resistant bowl, pour on boiling water and let them steep for half an hour to an hour. Now you can easily push the almonds out of their skin and cut them into halves. 2. Mix the rest of the ingredients. Form 30 balls and put 3 almond halves on top of each one. 3. Bake at 150 °C/ 302° F for 35 minutes. 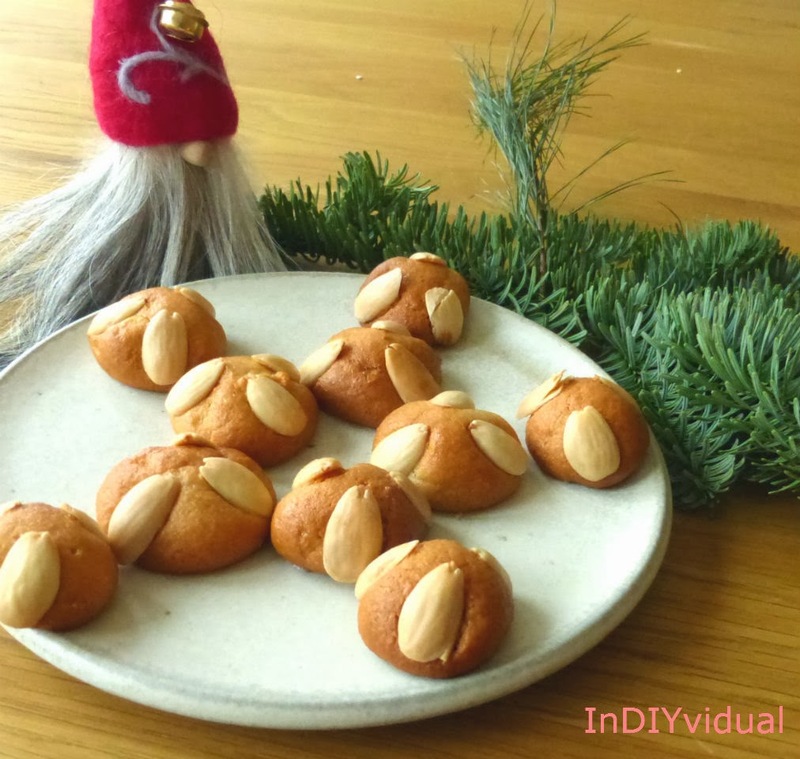 In German these cookies are called "praying man" because the almonds look like the hands and face of a kneeling, praying person (at least they do if you use a lot of imagination).